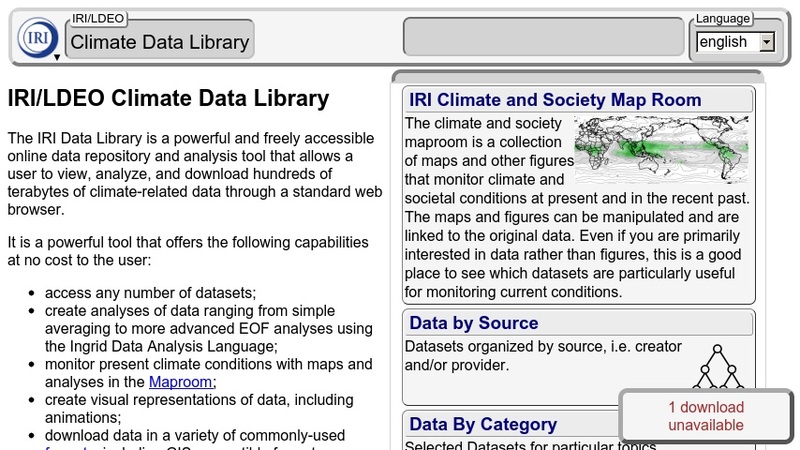 This library contains over 300 datasets from a variety of earth science disciplines and climate-related topics. Users can access and download datasets in a variety of formats, including GIS-compatible formats, or monitor present climate conditions with maps and analyses. The library is searchable by data category, source, or by keyword. Tools are provided which permit analysis of datasets and creation of visual representations of data, including animations. Help resources are provided to aid in using the library and in using some of the analytical functions.